An eight-year-old runner who set out to raise funds for the hospice where his granddad died was overjoyed when an Olympic athlete joined him in his charity challenge. 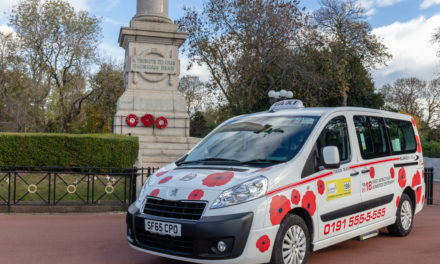 Matthew McMahon, of Sunderland, was determined to raise money for St Benedict’s Hospice, in Ryhope, which had cared for his beloved grandad, Tom Milligan, up until his death from cancer in July, aged 63. 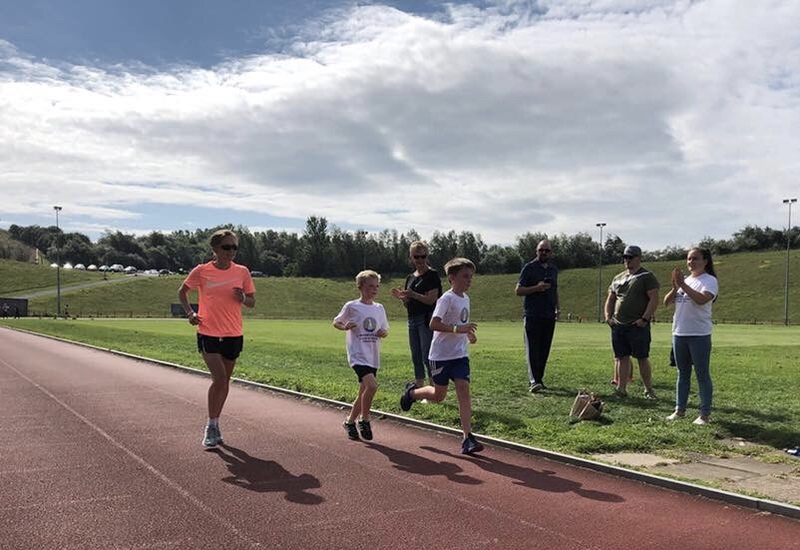 The dynamic youngster, a pupil at Northern Saints Primary School, in Sunderland, decided to challenge himself by running ten times around the running track, aka 2.5 miles, at Silksworth Sports Complex to raise funds via sponsorship and was joined by his friend William Younger, 9. Then Matthew was delighted when Olympic long distance athlete, Aly Dixon, heard about his challenge and asked if she could support him by running a couple of laps with the friends. The challenge has so far raised more than £450 for the hospice. Said Matthew: “Aly said she would do a couple of laps with us and then she kept on going round. We were talking to her all the way and asking lots of questions. It felt really good having her run with us. She brought us each a goody bag too. Aly Dixon said: “St Benedict’s is very close to my heart and whenever I can help them I will. For a boy of Matthew’s age to process the grief of losing his granddad, and come up with a way of giving something back to the hospice off his own back, it’s really heart warming and it’s great to see. Lisa Peverley, community fundraiser, said: “Matthew has shown great initiative and passion to raise so much money for the hospice. Matthew’s family is also hosting a charity night for the hospice at Hepworth and Grandage Social Club, in Sunderland, on November 3, at 7pm where the band Six Nowt, which Matthew’s granddad did the sound and lighting for, will be performing. Tickets are £5 and can be bought on the door.